Lady Jane Grey was held prisoner in the Tower of London, convicted of treason, and on 12th February 1554 she was beheaded. She was just 16 years old. Guests must be aged 16 years and over. The Grey Family were the most famous residents with Lady Jane Grey becoming the first Queen of England in 1553, to rule alone albeit for just 9 days. 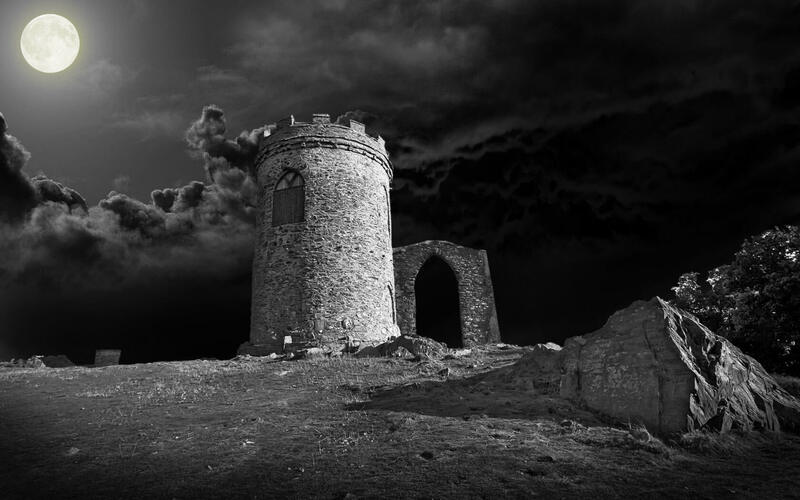 This story is so important Haunted Heritage dedicate a special ghost walk during the Queen of Bradgate Events each July. However this site also has a strong association with the English Civil War and the Greys nemeses ‘The Hastings’. The most famous ghost story of all is about Lady Jane Grey who rides in her coach through the Park at midnight on New Years Eve and when comes to alight at the nearby All Saints Church…just disappears. Monks have been sighted on many occasions and, and on entry to the ruins a female apparition has also been spotted in one of the stairwell towers. Others report ghostly-disembodied voices, sounds of military drums and other eerie unexplained sounds. We have caught an amazing EVP in the ruins, as well as ghostly horses hooves have heard in various locations across the Park.